Tracing Light Box is ideal for Memory Books, Stenciling, Stained Glass, Calligraphy, Quilting, Photography, Embossing, Tracing, Backlit Display, Sketching and many other hobby, arts and crafts or technical applications. 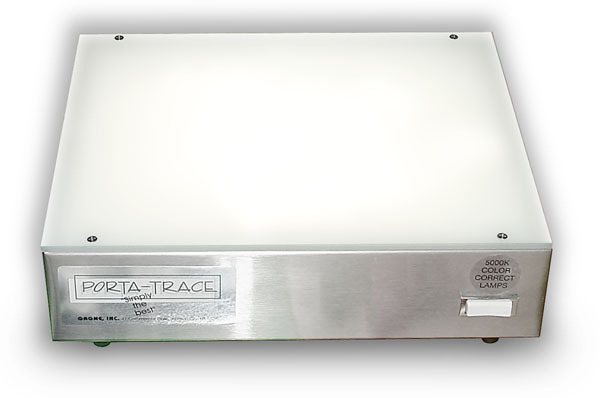 The Porta-Trace Light Box by Gagne provides maximum light diffusion and minimum glare. LIGHT BOX Provides Uniform & Even Lighting Over Entire Viewing Surface. Opaque Plexiglas Work Surface is Smooth, Thick & Durable. NOTE: Light Box may have a protective film over work surface. This film should be carefully removed before using your Light Box. LED Light Box with Tilt Leg. 3" High Frame with 3/16" Thick x 10" x 12" Plexiglas Viewing Area. Uniform LED Lighting is energy efficient and can last up to 50,000 hours. Carry / Storage Case for A & B. Ideal for Travel & Storage. 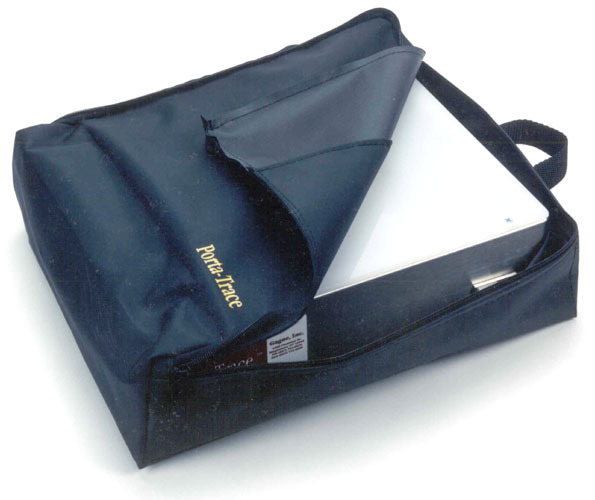 Durable laminated vinyl with zipper closure. Includes 2 inside pockets for storage.